I am truly excited to begin this school year!!! One major thing I emphasized in the first week of school were our class guidelines...THE 5 P'S...PROMPT, PREPARED, POSITIVE, PRODUCTIVE, POLITE. My students should always BE these FIVE things :). Prompt...Be in class ON TIME! Prepared...Make sure you have EVERYTHING YOU NEED! Positive...Have a positive outlook on others and mostly, YOURSELF! Productive...Don't waste time! Use every MOMENT of class wisely. If you wasted 5 min (the first 2.5 min of class and the last 2.5 min of class) every day throughout the year (180 days)...then you wasted 15 HOURS!!! Polite...Consider the Golden Rule. Be kind to others. Treat each other with respect...ALWAYS. So far, so GREAT! It seems like my students in these past TWO WEEKS have truly understood what it means to abide by the 5 P'S. So, I'm super excited and looking forward to an incredible year! Take care and be blessed! 2nd Quarter Interims are ALREADY here! Actually, they'll be handed to students during 6th period this Friday, November 15th. So, can your child succeed in Biology? YES! Are there ways to raise their grades before the end of 2nd Quarter? YES! Biology is an intense science class which covers a multitude of topics (general science/cells/evolution/ecology/genetics/organic chemistry, etc). But, I always tell my students that "if an 'expert' learned something...then so can YOU!". Nothing is beyond their reach. If there's a will, there's a WAY! And this includes the study of biology :). To Be Successful...#1. read, Read, READ!!! Students must become great READERS of their textbook. Many times they're not used to nonfiction, informational text. But, the more you read and use reading strategies, the easier it gets! #2. take NOTES! Never read something without a pen in hand. ALWAYS take notes while you read. Many students find it difficult to find the main ideas & important details...but again, this takes practice. #3 Study the way you LEARN! If you like to chit-chat with your friends on a typical day, then form a STUDY GROUP to review lessons from class! If you can't sit still...then walk around while reviewing notecards. If you like to dance, create moves with various concepts you study! Trust me...it sounds nutty...your parents might look at you a bit funny while they pass by your room...but it works! I hope this lil blog helped. Remember, IF there's a will...there CAN BE an A! So...the question is...how bad do you want it???!!! Wow...where did September go?! The school year is flying by, folks. It's an excellent time to reflect upon what truly makes your high school experience memorable. Hindsight is 20/20. As an adult, I can look back and see the wonderful blessings and opportunities I had as a teenager in Clay County schools. And, my advice to you would be...get involved! Students who are involved in school life and culture meet more people, make new friends, and experience way more cool moments! We have TONS of clubs, activities, and sports. There is no reason to not plug in! I encourage you to get connected. Just like September literally flew by, these high school years will be gone in the blink of an eye. I know that it may not feel that way at the moment...but trust me...these days fly! You've got to take advantage of the blessings and opportunities right now in front of you. Dare to take that step in a new direction. Get involved. Join a club. Try out for that sport you've always thought about doing. The activity you choose to do just might change the course of your life! Next week is our OHS Homecoming 2013. This is such an incredibly fun time where faculty, staff, and students alike show our Knight Pride by dressing up and going to all of the awesome events like The Crusade, Homecoming Game, and Homecoming Dance. I encourage everyone to participate and make your time here at OHS memorable!!! Hello everyone! It's the end of Week #3 at the awesome Home of the Knights...OAKLEAF HIGH! So far, so great! Butler's biologists are getting into the swing of things and learning all about science and the importance of scientific research, as well as how to turn in excellent work and really learn the concepts instead of just memorizing material for the test. I heard a great analogy during a pre-planning workshop...the classroom is very much like sports...you've got PRACTICE, a SCRIMMAGE, and then, THE BIG GAME! Just like in our Biology classroom...there is HOMEWORK, a QUIZ (or two, lol! ), and then, THE EXAM! I've told my kiddos that I truly want everything we do to work towards the end goal of their success in that 'big game' we call the exam. I shared with them that many times I was guilty of just "learning" (or rather MEMORIZING) information for a test, but then I'd literally forget it just a day or two later! I never learned HOW to study from the textbook or the homework in a way that helped me LEARN the concepts long-term. That's sad to say, but true. I'm sure we've all been guilty of it at one time or another. 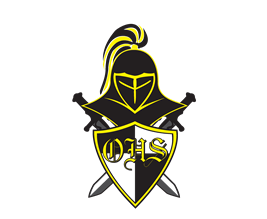 Welcome Oakleaf Knights!!! 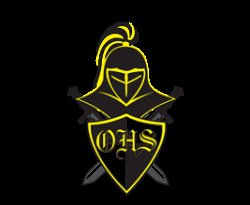 School has begun and OHS is buzzing with "new school year" excitement! Former students and new students are acclimating to their new class schedules as they purposefully explore the castle's hallways to find that next class, figure out which stairwell is least congested, and all of course by the time the bell rings....DING! I've truly enjoyed meeting all of my students thus far. I believe that I have most of their names memorized already, too...and it's only Day 3!!! That beats my typical "1st week goal" of memorizing my kiddos' names...yessss!!! 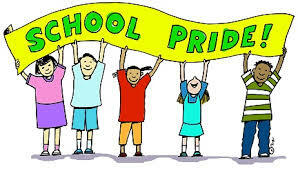 :) My classes are great...from Pre-AICE (1st, 2nd, 4th), to AP (5th), to Standard (6th)...all of these kids are AWESOME! I feel so incredibly blessed. I can't wait to really get to know my students and unfold the incredible world of biology for them. Here's to a great start of the year, folks! Butler's Biologists Rock!!! Grading Note...all grades are due by January 8th for teachers. My HOPE was to have it all done for students by the time they took their exams. Unfortunately, it's just taking me much longer than anticipated, despite my over 12-hours workdays. But, no worries. If you turned in your work, it WILL be graded! You may have seen zeros plugged in yesterday...I had MANY students who just never turned in work, so I plugged in 'automatic' zeros into all of the blank spots in my Focus gradebook. However, IF you turned in your work (makeup work, late assignments, test corrections, etc. 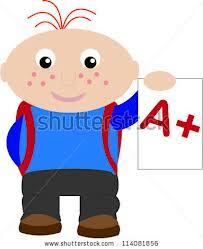 ), your 'zero' will definitely change to the grade you've earned once I grade your individual work. So, your grade will only go UP if you've gotten your work in to me...promise :).